If it seems like IÂm picking on the United Auto Workers union, itÂs only because its descent from its once lofty, exemplary stature as one of the most democratic and militant CIO unions has been the steepest. Last month, I wrote of the leadershipÂs complicity in the gutting of union wage and benefit standards, a gutting that has left starting wages often lower than for their non-union counterparts. I reported that UAW contracts were pressuring management at non-union Toyota to buy out older workers in order to establish a new, lower starting wage to compete with their unionized competitors. UAW union contracts are now the corporate tool for slashing labor costs! But itÂs even worse than I thought. A retired autoworker pointed out that my claim of two-tier employment at UAW shops was incomplete. At Ford, the UAW has acceded to a three-tier system! Below the ÂentryÂ level tier, Ford, with UAW agreement, has established a classification of Âlong term supplementalÂ that offers the $14-16 entry-level starting wage, but with no job security or benefits! In some suburban, high- income areas, fast food restaurants offer better wages and benefits than this! Labor Notes Ken Paff reports on a shameful act of treachery against workers employed at a car-hauling company under a Teamster contract. As revealed by a National Labor Relations Board decision, Ford colluded with a UAW local to underbid the Teamster contract and award the work to a lower-paying competitor. The NLRB administrative law judge ordered the voiding of the UAW contract and the re-employment of the laid-off workers with full back pay. According to the decision, Ford arranged the sub-standard contract with the UAW beforehand to secure a lower bid. As a result, the Teamster members who had made about $20 an hour were replaced with workers employed under a UAW contract at $11-14 per hour. According to a leaked document, the collusion would save Ford $9.8 million a year. This sorry deal was known to the top union leadership. Treachery of this dimension transcends class collaboration and business unionism and sinks to the level of scabbing. Those who gave their lives to organize the UAW must be turning in their graves. Their legacy deserves much better than this insult to labor solidarity. Why is the escalation of the global currency war by the Abe government in Japan significant? Until now, the leaders of all of the leading capitalist countries have proclaimed open and unrestrained tradeÂfree marketsÂas a mark of a new level of international cooperation. They have advertised the dramatic growth of international trade as establishing bonds of mutual dependence that strengthen relations and lessen tensions. But these ÂinterdependenciesÂ were tenuous at best. They temporarily concealed the ever compelled, inevitable drive for competitive advantage, to win at the expense of competitors. Cooperation is alien to a systemÂcapitalismÂbased upon ever greater accumulation. A deepening crisis quickly surfaced these tendencies. It was not the Abe government that opened the currency wars, but the US. The doses of Âquantitative easingÂ adopted by the US Federal Reserve cheapened the dollar, making US exports more attractive and foreign imports less so. As a result, there was a marked revival of US manufacturing. In short, US policy makers broke with international cooperation and set out on the road to securing national advantage. The first to feel the bite from this unilateral policy were many economies in Latin America. Despite the justifiable complaint of their leaders, US investment money flooded these markets, disrupting capital markets, and attacking their exports. Two years ago, Brazil lodged loud complaints against US quantitative easing and its negative impact on Brazilian exports. 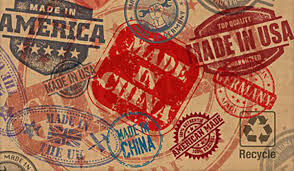 Other countries, like the Republic of Korea, Switzerland, and Israel, have acted to protect their currencies, while Australian manufacturing has been seriously slowed because it has refrained from reacting. The already seriously wounded EU economy has been further disrupted by the currency wars, with the European Central Bank reluctant to retaliate. Germany, with its manufacturing largely immune to price competition, has successfully blocked any strong reaction. The rest of the EU has consequently felt the loss of competitiveness. It was the Abe government in Japan that brought this escalating contest into the open. Their explicit determination to weaken the yen served as the basis for AbeÂs election campaign. The tensions emerging in the currency war are leading to sharp military confrontations and threats, especially among Asian Pacific countries. The capitalist sharks are turning on each other. Signs are eerily pointing toward developments reminiscent of the 2008 crash. Once again an enormous pool of capital is accumulating and overflowing into riskier and riskier areas to find a return. As reported in the WSJ, $149 billion has channeled into money market funds since November of 2012. The Journal notes that these funds are increasingly accepting risk (for example, French bank debt) to secure better returns. Cash is also flooding equity markets. In only four weeks in the New Year, $38.1 billion was invested in stock mutual funds, more than the previous record in February, 2000 (remember that moment?). ● Issuance of high-yield corporate bonds below investment grade is nearly double what it was in 2007. ● Iowa farmland prices are more than double what they were in 2007. As if there were not enough danger signs in the global economy, another over-accumulation event approaches. Hold on to your hats!